Iconic Italian luxury brand Ermenegildo Zegna is expanding its Canadian operations this year with a new standalone flagship in Toronto, as well as a renovation to its Vancouver store. More standalone stores could be on the way in a unique partnership with menswear retailer Harry Rosen. The 3,000 square foot Toronto flagship will be located at 100 Bloor Street West, in a retail space next to the Hermès flagship which opened in November of 2017. Zegna’s retail space will occupy an eastern portion of a retail space formerly occupied by Pottery Barn, which occupied a landmark site featuring a reproduction of the former University Theatre facade characterized by an undulating cut-marble base, cantilevered canopies, and two-story granite framed windows. 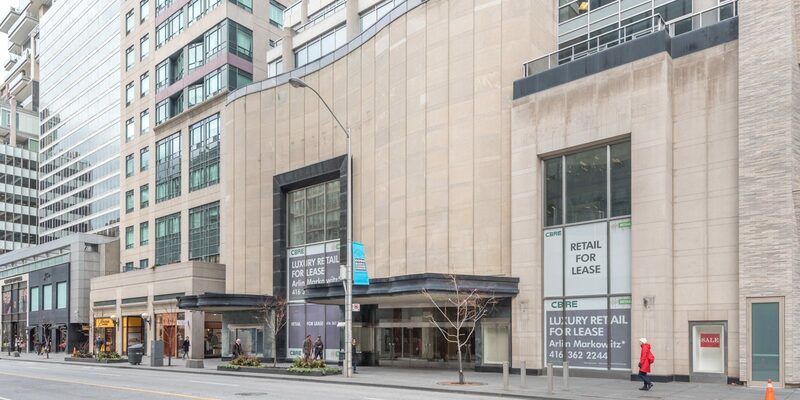 CBRE Toronto negotiated the Toronto Zegna deal under the direction of Arlin Markowitz.